How many artists does it take to change (a light bulb)? In 2014, I was invited to be the Artist in Residence at Boston Center for the Arts. The resulting installation is an exploration of gentrification, personal history, legacy, and the role of art in a community. Roy W. Cato, a sculptor working in wood and stone, who died in1998, was the first artist tenant at the Boston Center for the Arts. While meeting with BCA artists, Roy’s name came up frequently. Intrigued by his work, history, and link to so many aspects of the BCA, I focused my research on Cato. In addition to the conversations I had with BCA artists where Roy Cato had lived and worked, I met with those who were close to Cato, including his former wife, Lois, age 88, still living at the same South End address since 1967. Cato’s former wife and one of their eight children, Chris, relayed Cato’s background to me, including his history in the Navy’s “black unit” in World War II. Additionally, they told me that in 1965, Roy Cato volunteered to be a bodyguard for Martin Luther King, Jr. in his Selma to Montgomery, Alabama, Civil Rights March. His children remember him having red dirt on his boots when he came home. They also told me that Roy Cato left Boston in 1979 to pursue his dream of living in Venice Beach, California. After a year there, he went to Minneapolis where he lived until he became ill. He then returned to Boston where he died. 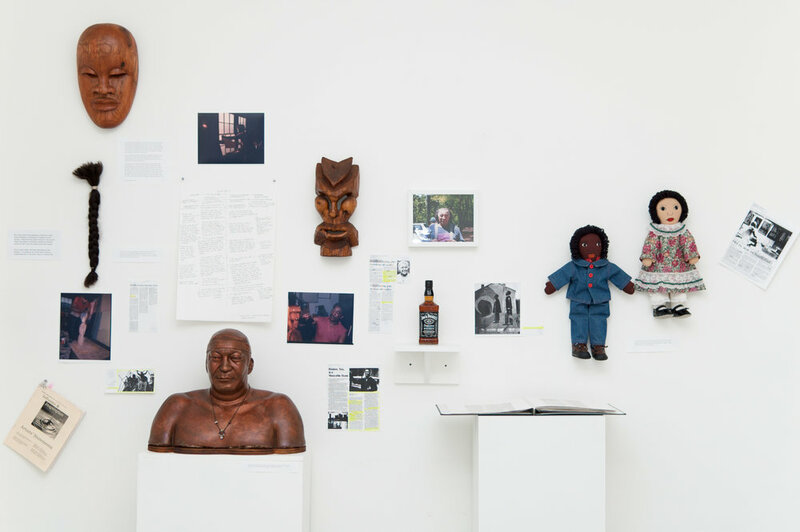 The exhibition, which marked my Residency’s end, included artifacts, art objects, and personal effects, loaned by community and family members to represent Roy Cato and the history of the Boston Center for the Arts. The installation included text, photographs, Roy’s carved wood mask, his hair braid, a portfolio of his work, a bust portrait of Roy made by an early BCA artist, and a bottle of Jack Daniels. Roy’s family loaned many items, including their own artwork. The opening for the exhibition was, in large part, a family reunion. Artists from the BCA who new Cato, Cato’s family –children, grandchildren, great grandchildren – and longtime friends, saw each other, in many cases, for the first time in nearly 40 years.